February is just ending, but I can’t stop myself from thinking about the coming summer season. The heat lately has been getting worse, making me worry how much hotter it’d get when March and April rolls in. On hot sunny days like these, the best place to be is the beach. 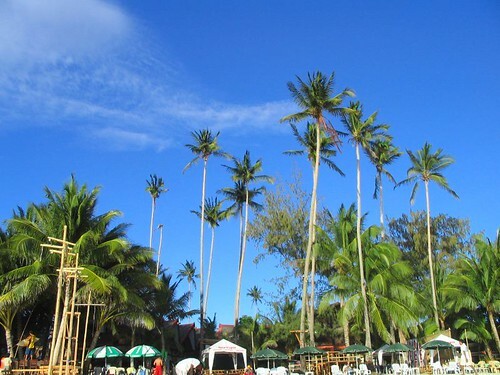 And when you say beach in the Philippines, the first that comes to mind is Boracay. The first and the last time I went to Boracay was way back in March 2005. It was the best two weeks of vacation that I’ve ever had. The gorgeous beach, the fantastic food and the company of great friends. What more can you ask for? Round and round it goes. Sean the Canadian firedancer shows off his talent. 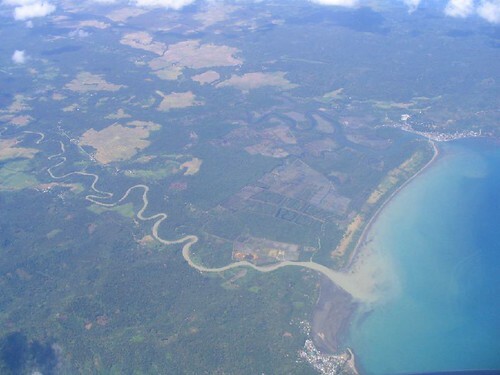 One of the more memorable part of this trip was the plane ride. SEAir‘s 19-seater plane can only accomodate two crew, so the flight attendant had to demonstrate the safety procedures while we were still on the ground. When she’s done, she disembarks and leaves us with the two pilot. It was weird to be inside such a small plane. Unlike the Boeings and Airbus I rode before, the cabin wasn’t pressurized (the pilot even opens the cockpit window) and it feels as if you can easily drill a hole through its sides. And oh my god, the ear pressure. That has to be the worst I’ve ever experienced. Ear pains aside, the view from the plane was spectacular. 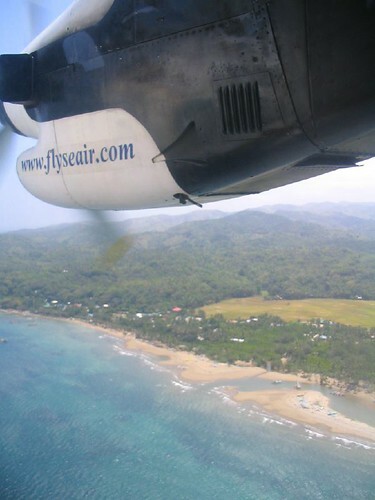 Unlike the bigger aircrafts, SEAir flies at a lower altitude, giving you a glimpse of the Philippines from above. This is definitely much better than just seeing clouds at 20,000 feet. 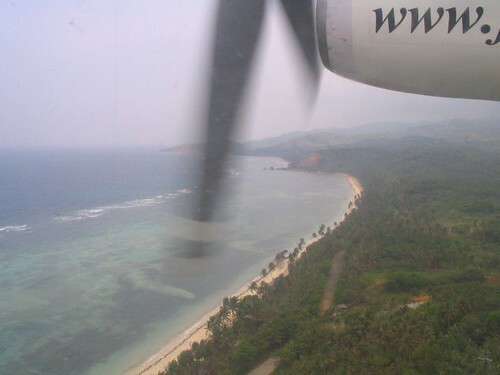 The 35-minute plane ride from Manila to Caticlan is SEAir‘s biggest edge over its competitors. Since SEAir flies direct to Caticlan, you’re just one tricycle ride away from the ferry port to Boracay. Though SEAir can be more expensive than the other airlines on the same route, the shorter time you have to spend in transit makes it worth it. LOL! …but that is an amazing view. 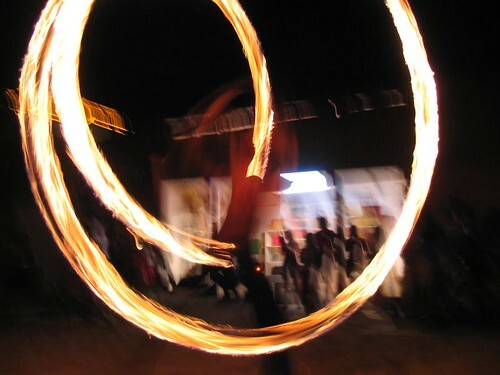 have you ever tried poi spinning? not necessarily with fire, of course. it’s fun!